Over the years we've learned a lot about running successful open houses. They're a great way of selling your home, because they're the best way of helping people to see your old home as their new home - a place where they can imagine living and enjoying life. An open house may seem like something you can handle on your own, but your realtor can give you valuable advice about what you need to do, and how you can have the best chance of selling your home to potential buyers. With years of experience in buying and selling houses, your realtor can offer you some much-needed insight on organizing an open house. 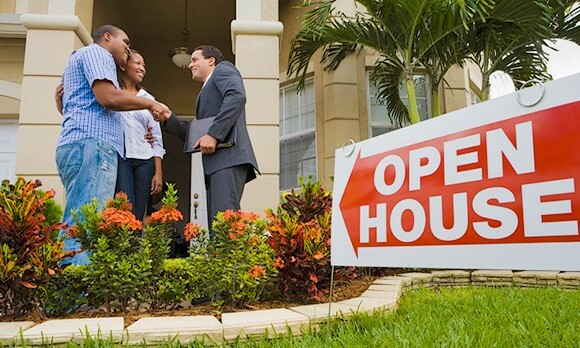 Here are a few things that your realtor might want you to know about your open house. Beyond your realtor's network and and listings, there are three crucial words here: use social media. Do a live story on Instagram and Facebook, where you can take viewers on a virtual tour of your home, and promote your open house on neighborhood groups. If your budget permits, and you really want to reach a long way, you could also sponsor a post about your open house. It’s all about taking advantage of the many advertising options at your disposal to get your house in front of people. It’s an old trick to bake some cookies to make the place smell great, and it works - but people aren’t coming to snack. Be prepared with all the information that potential buyers might need about your home. Print out good quality photos of the advantages and the key features, so that people can take these back with them while they’re making their decision. Give details about services nearby so people can get a sense of the neighborhood from an expert. Choosing the right time to organize an open house is vital. If you choose to do it on a weekend, opt for the 9 to 11am slot or the 3 to 5pm slot, because that’s when people may be more likely to turn up. Weekdays aren’t generally a good option, but if you need to hold it on a weekday, run it on a Thursday or Friday evening. Holidays are also ideal times to hold your open house, because people are more likely to not be caught up at work. As much as you’d like to paint a pretty picture about each corner of your house, it’s advisable to hold back a little. Let people discover your home for themselves, so they can imagine the kind of life they could have there. Any well-informed buyer can easily see through your overestimation, and that could break the bond of trust. For your pitch, decide on three important strengths that your home has, and emphasize on those aspects. Stick to the facts and refrain from overselling, as that could put off more leads from reaching out to you after your open house is done. Above all, discuss your plan with your realtor, and if they’re running the open house for you, follow their lead and let them do the selling. You can sit back, meet potential buyers, and help people get a sense of how great your home is.